Producing content for your website isn’t always easy, but it’s an essential part of growing your business online. Thankfully, when it comes to creating content for your website, there are several tools out there that can help to make it easier. This is a list of our five favorites, and we think that you’ll find them useful when working on your own site. Google is continuing its takeover of the web with the introduction of Google Fonts. This wonderful collection of fonts spans everything from Times New Roman to typefaces that are practically unreadable, artistic endeavors. What’s great about Google fonts is that they’re free, and incredibly easy to use. You can download them and install them for free on your desktop. Or you can insert a simple piece of CSS code to use the fonts on your website. Writing in word may be convenient, but it can present certain problems for web developers. Namely that Word uses its own language to create formatting, and it’s not easily transferable to an HTML format. Word2CleanHTML can help with that. Simply upload any word document, and it will turn it into a file properly formatted for HTML. That makes it easy to write in Word, without having to worry about a lot of formatting problems later on. Infographics can be a unique and appealing way to present information. Unfortunately they can be expensive to produce. If you’re not a large firm, the cost may not justify the product. Infogram is changing that. With their unique platform they’re making it easy to produce visually appealing infographics at a fraction of the price that it would cost to hire a graphic designer. 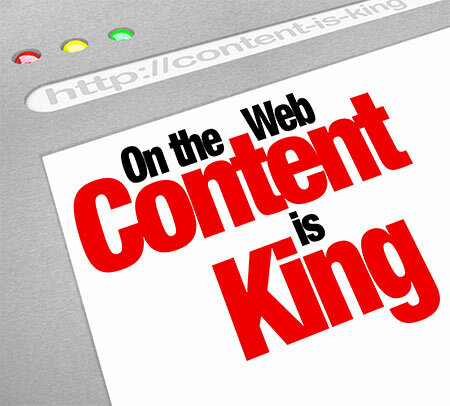 If you have a larger website, producing content for it probably involves at least several different people. Whether it’s the actual code for the website itself, or pictures and designs, Evernote makes it easy for a group of people to share information and collaborate together. That can reduce the amount of time that it takes to produce great content, and reduce the level of frustration involved as well. ThingLink gives you the power to add interactive links to both photos and videos. This is a unique way to get users attention, and to maintain a higher CTR (click-through rate) on your website. The idea of doing this has been around for a while, but ThingLink is the first platform that’s made it easy and accessible for everyone, even if you’re not a web designer. privacy | terms | sitemap | © 2007-2019 Superiocity, Inc.